Today is Palm Sunday, the first day of Holy Week. Many Christian denominations remember on this day Jesus' triumphal entry into Jerusalem - in the knowledge that within days events will turn and lead to Jesus' arrest, crucifixion, death and eventually his resurrection. 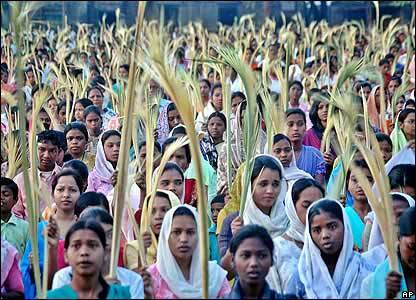 "Holy Week is the last week of Lent and the week before Easter. It includes the religious holidays of Palm Sunday, Maundy Thursday (Holy Thursday) and Good Friday, and lasts from Palm Sunday (or in the Eastern, Lazarus Saturday) until but not including Easter Sunday.It commemorates the last week of the earthly life of Jesus Christ before his crucifixion on Good Friday and his resurrection on Easter Sunday." Although our (secular) society seems to highlight Christmas as the main festival of the year, in the Christian calendar Easter is by far the more important occasion to remember. Bad day ... or was it?